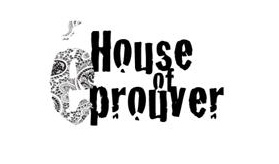 House of eprouver: Hey Everyone! The first month of the new year is coming to and end. It is now time to recap the events of the HOUSE. 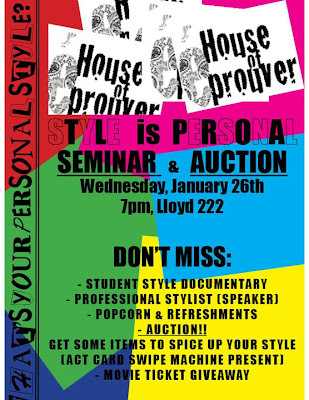 Last semester the HOUSE held some great seminars from fall trends to person style. We had some great auctions of vintage finds and hand made jewelry! If you missed them do not worry there will be more to come! 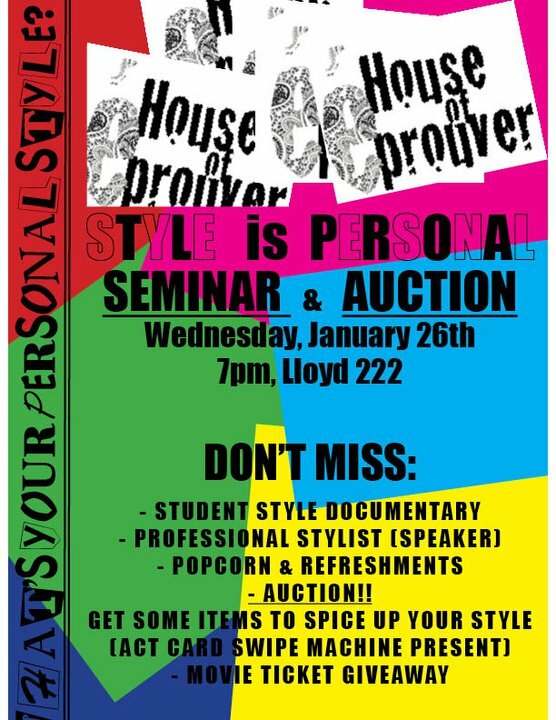 The HOUSE strives to provide not only an insight into the world of fashion but to show college students that they can be fashionable going to and from class while being comfortable. I don't know if they know that oversized shirts and leggings are not attractive. And wearing your hat because you did not feel like getting ready this morning or did not shower, is not okay. 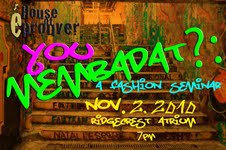 Therefore come to the HOUSE's next upcoming events. People need to learn how to express themselves through their fashion. Keep checking for updates of upcoming events.